ESP: Visitar uno de los monasterios más simbólicos y donde estuvieron los NAZIS buscando el Santo Grial para luego ir a una visita guiada por un castillo, viñedos para terminar con una cata es una manera increíble de pasar un día. ENG: Visit one of the most symbolic monasteries and where were the NAZIS looking for the Holy Grail to then go on a guided tour of a castle, vineyards to finish with a tasting is an incredible way to spend a day. 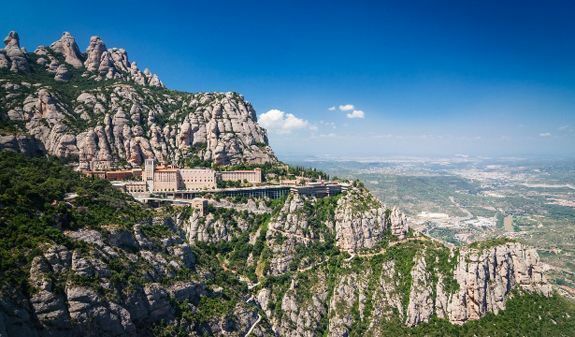 ESP: Vamos a hacer una visita a uno de los lugares más emblemáticos de Barcelona el Monasterio de Montserrat, luego bajaremos a uno de las bodegas con un bello castillo. Haremos una introducción histórica de la familia y del castillo, y pasaremos por 2 viñedos, luego vamos hacia la bodega de elaboración para explicar cómo hacen los vinos, volvemos al castillo para ver 2 de las salas visitables y la torre de defensa para así finalizar visitando la sala de crianza/barricas y realizar la cata de 2 los vinos y el aceite de oliva ecológicos. 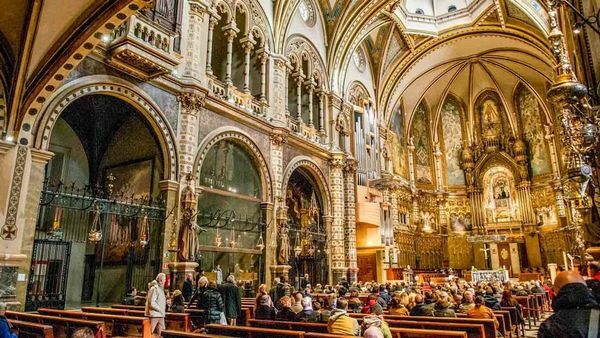 ENG: We will make a visit to one of the most emblematic places of Barcelona the Monastery of Montserrat, then we will go down to one of the wineries with a beautiful castle. We will make a historical introduction of the family and the castle, and we will pass through 2 vineyards, then we go to the elaboration cellar to explain how they make the wines, we return to the castle to see 2 of the visitable rooms and the defense tower to end up visiting the aging room / barrels and perform the tasting of 2 organic wines and olive oil. · Ropa adecuada al clima y la excursión / Cloth adequate to the climate. 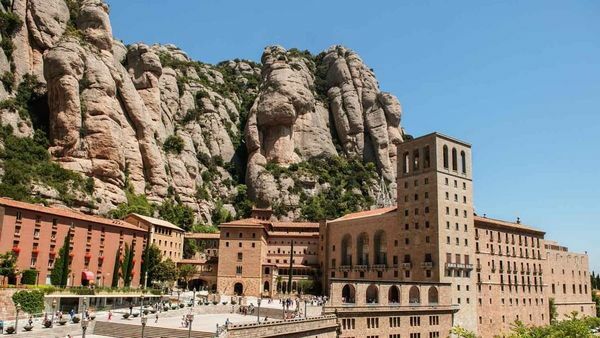 * Visita por libre a Montserrat / Visit on your own on Montserrat. * Paseo por viñedos (caminando)/Walk through the vineyards. * Cata de 2 vinos y aceite de oliva ecológico/Wine tasting of 2 wines & ecological olive oil.